Maxx Royal Kemer Resort is your perfect host for business and special events, with exceptional accommodation and organisational services. Enjoy the most exclusive professional and business organizations in customized spaces at Maxx Royal Kemer Resort. A sparkling celebration or a grand wedding bringing together your loved ones. The wedding of your dreams turns into reality with Maxx Royal’s experienced events team. Breath-taking ballrooms. Extraordinary flavours. Carefully crafted details. Whatever your dreams for a magical night, transform them into reality at Maxx Royal Kemer Resort. From international symposiums to brand and product launches and private business meetings, add quality and elegance to all your business functions with our tailor-made meeting and banquet hall presentations. Professionals will enjoy perfect organisations in the heart of Kemer’s magical nature. Featuring meeting halls tailored to your group, along with multi-purpose equipment and a specialized team, our facility is ready to host your business in its 513 m2 pillarless and dividable “B” hall with a 4.23 m ceiling, 3-section 60 m2 workshop rooms and an illuminated foyer. The B Ballroom can be arranged according to preference and event, and offers a unmatched atmosphere for special meetings in a spacious 513 m2. The theatre layout accommodates 528; classroom, 270; and the banquet layout 280. The 69 m2 hall is ideal for events, and business and boutique meetings. Theatre layout: 51 people; classroom: 30; block: 22; U-shaped: 21. The 52sqm-N hall can be prepared for a range of meeting groups. Theatre layout: 45 people; classroom: 30; block: 22; U-shaped: 21. 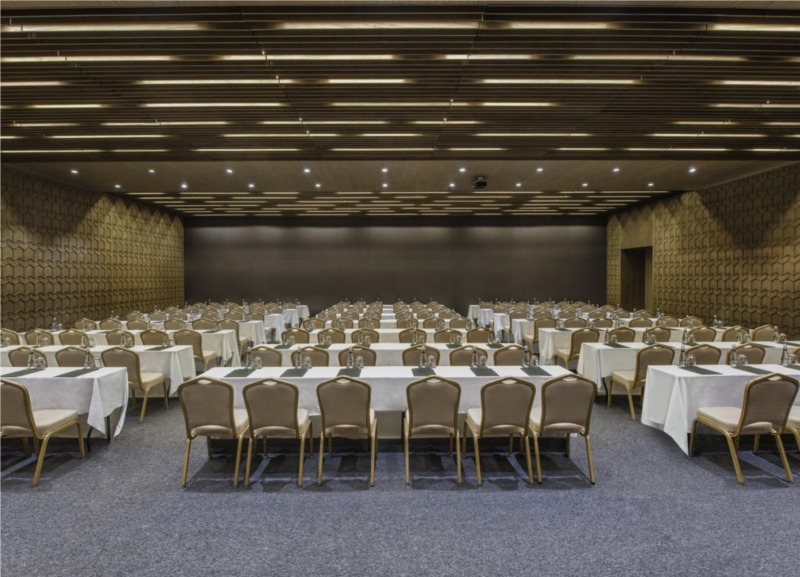 Bringing both elegance and equipment to your meeting, the 66 m2 Z Room offers a variety of configurations: theatre layout: 51 people; classroom: 30; block: 22; U-shaped: 21.